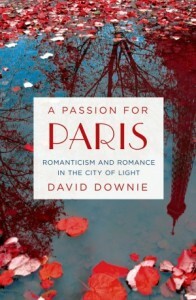 A Passion for Paris by David Downie takes us on a tour of Paris from the Père-Lachaise Cemetery to Montmartre. Instead of writing about the famous American expatriates of the 1920s, the author chose to shed light on the Romantics of the 19th century: Félix Nadar, Victor Hugo, Charles Beaudelaire, Honoré de Balzac, George Sand, Eugène Delacroix, Alexandre Dumas, Émile Zola, etc. David Downie guides us through the City of Light to show us where the Romantics lived, worked, loved and died. I found it fascinating how all these artists knew each other and were friends, lovers or enemies. In fact, they all lived within walking distance of each other, and most of their apartments, houses or studios are still standing. Some have been converted into museums, but others are privately owned. The author has an impressive knowledge of the writers and artists of the time. In addition, he is not afraid of exploring sites normally not open to the public. His wife, Alison Harris, took most of the photographs that appear in the book, and they illustrate the text perfectly. 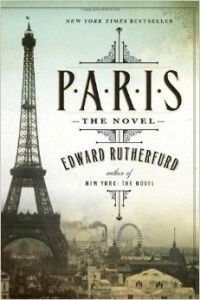 I must say though that I found a few chapters to be a bit too long, especially the one about Paris’ architecture. It didn’t interest me as much as the rest of the book. 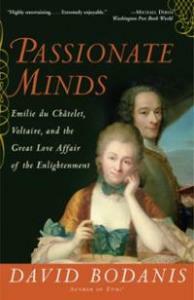 In the end though, A Passion for Paris will appeal to Francophiles interested in French art and literature. 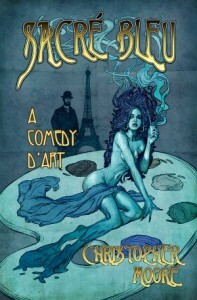 A Passion for Paris was sent to me for free in exchange for an honest review. David Downie has written a dozen non-fiction books and 2 thrillers. He also created two apps: one about Paris history, and the other about the food and wine of Rome. The author lives in Paris, in the Le Marais neighborhood, with his wife. 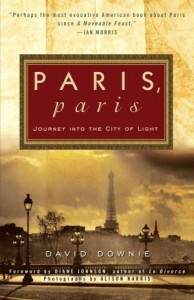 He offers custom walking tours of City of Light (Paris, Paris Tours). About the author and his work: David Downie’s Website.